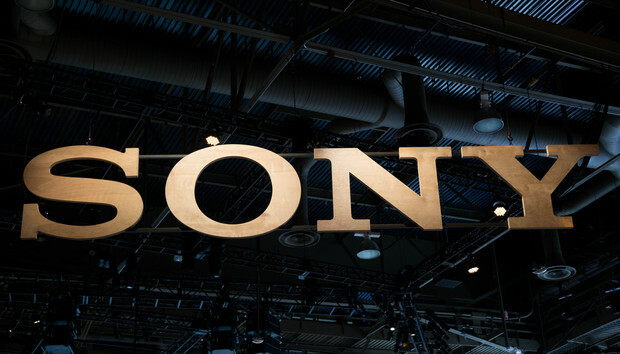 Following on from last year’s their pivot to OLED and the launch of the Playstation 4 Pro and their a9 mirrorless camera, 2018 is shaping up to be a big year for Sony. It all starts at this year’s CES in Las Vegas. Usually a playground for sin and vice, the week-long consumer technology mecca sees Vegas become a playground for gadgets, gizmos and everything in between. A 4K Ultra Short Throw Projector capable of delivering a 120-inch screen onto the wall of your living room. It boasts a peak brightness of 2500 lumens and comes with a built-in sound system that supports 360-degree audio. Basically, the LSPX-A1 is being pitched as the gold standard for premium projectors. It’s got 4K and HDR capabilities and, at a glance, gorgeous aesthetics sensibilities. The audio side of the equation is no slouch either, incorporating a subwoofer, three midrange speakers and a pair of organic glass tweeters. In the States, the LSPX-A1 is priced at $30,000. The mainstay of the Sony’s 2018 OLED offering, the A8F promises to leverage the same X1 Extreme processor and the Acoustic Surface sound system. It’s also rocking a more traditional design that the slate-like presence of its predecessor. Mind you, it still casts a pretty minimalist silhouette regardless of whether you opt for the 55-inch or 65-inch model. Again like the Bravia A1, the Sony A8F OLED uses an LG panel but relies Sony’s own X1 Extreme sensor. It runs on Android TV and comes ready to play 4K, HDR10, HLG and Dolby Vision content. Local pricing is to be determined. Available in sizing that starts at 55-inches and goes all the way up to 75-inches, Sony’s X9000F Series of LCD LED TVs might not pack quite the punch as its OLED cousins. However, the integration of the company’s X1-Extreme processor means that they’re still unlikely to make for a disappointing home entertainment experience. The X9000F uses a new technology, called X-Motion Clarity, to direct LED local dimming and backlight boosting algorithm to control the on-screen luminance and optimise its duration. Basically, it’s a souped up form of motion smoothing that promises clearer picture quality with no loss in brightness. The TV also comes with support for 4K, HDR10, Dolby Vision and HLG content and runs on Android TV. The follow-up to last year’s professionally-minded WF-1000X true wireless earbuds, the SP700N promise to take a more sporty approach. The SP700N is the first set of cordless earbuds that boast both IPX4 splash-proofing and digital noise-cancelling. They’ll also come integrated with the Google Assistant, offering hands-free control. In terms of battery life, it’s the same story as the WF-1000X. Three hours on the go, six more in the charging case.